We are manufacturers and exporters of industrial ovens. 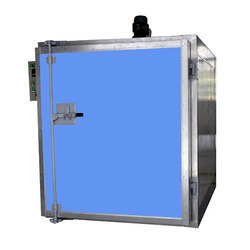 The variety of industrial oven we offer includes Powder Coating Oven, Laboratory oven, Gas Fired Rotary Fiber Glass Curing Oven and Cast Form Oven. We also offer varnishing impregnating ovens, plastic granule industrial ovens and many more. These are offered in various technical specifications and are developed in accordance with client’s requirements. Our ovens are popular for compact design, energy efficiency, easy installation, operation & handling and for uniform heating. Hence, our ovens are appreciated and accepted not only in India but also by global buyers. We manufacture, supply and export a qualitative range of laboratory ovens which are easy in maintenance and are known for their durability, simplicity and cost efficiency. 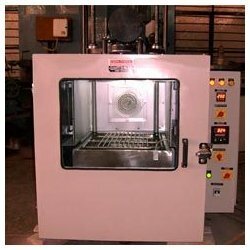 Manufactured as per client's requirement, the laboratory ovens we offer are available in various makes and models to suffice the needs of end-users. We cater to industrial labs, research labs and institutional labs with our array of laboratory ovens. 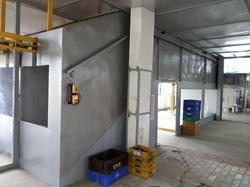 We also design and develop our ovens as per client’s technical details. 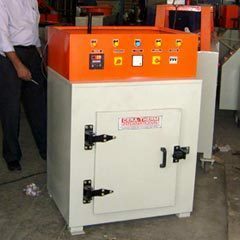 We manufacture Gas Fired Rotary Fiber Glass Curing Ovens for diverse industrial applications. These ovens are the broadest range of industrial ovens, which we offer. The products are available at market’s leading prices and find usage in a variety of industries and applications. 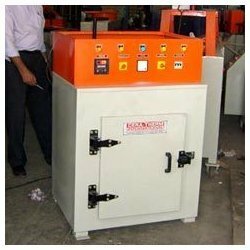 The Gas Fired Rotary Fiber Glass Curing Ovens are quality tested and approved for compliance to industry standards and we also offer post sales installation and maintenance services, if desired by the client. We are engaged in designing, engineering, and supplying of Cast Form Oven which are known for high quality and optimum performance. Our superior array of Cast Form Oven has made us one of the trusted manufacturers in India. 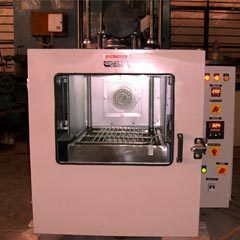 Our ovens cater to various industries and we are a reliable name for standard or customized Cast Form Ovens. 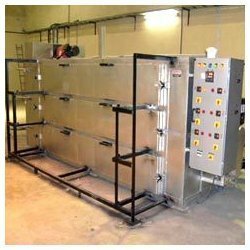 These ovens are used for heat treating, finishing, drying, or curing in diverse industries. We are a well known name engaged in manufacturing a qualitative range of ovens which are easy in maintenance, durability, simplicity in use and cost efficiency. 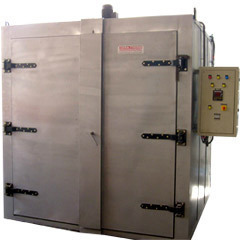 We design and develop our ovens as per client's requirement. We have been designing, engineering, and manufacturing ovens which are known for its quality. Our superior quality oven have made us one of the trusted manufacturer of the broadest range of ovens. Our ovens caters to various industries and we are an excellent source for standard or customized ovens. These ovens are used for heat treating, finishing, drying, or curing. Backed by our industrial expertise, we are designing and manufacturing precision engineered powder coating oven. Superior grade raw material including MS plates, channels, flats & SS sheets is used to manufacture the oven. Featured with energy efficient, high performance, compact design and long lasting life, the range is widely catered to diverse industries.